James Rehberger is a partner in the Newark office of Lewis Brisbois and a member of the General Liability and Products Liability Practices. James Rehberger focuses primarily on handling matters involving general liability, product liability, premises liability, construction litigation, and class actions. He is also experienced in handling toxic torts, professional liability and insurance coverage, and workers' compensation claims. Prior to entering the legal profession, Jim was an engineer for a worldwide architectural/engineering consulting firm and worked on a variety of projects. This background gives him special knowledge and a deeper understanding of his clients' concerns. Jim has successfully defended matters involving product defect, including claims of design defect, manufacturing defect and failure to warn including ladders, scaffolds, table saws, hand tools, medical devices and building components. Jim's background in engineering gives him a unique understanding of technically challenging claims arising out of commercial, residential, industrial or civil construction projects, including construction defects, building or structure failures, personal injuries, property damages, economic losses, delays, cost overruns and change orders. He effectively advises on the management of crises stemming from temporary structure failures, building collapses, floods, explosions and fires, counseling his clients on appropriate response strategies and representing them in pre-suit activities. Jim's substantial experience in the area of construction defect litigation gives him a deep understanding of the complex issues that arise from the involvement of multiple parties, various contractual indemnification obligations and/or multiple potentially relevant insurance policies. 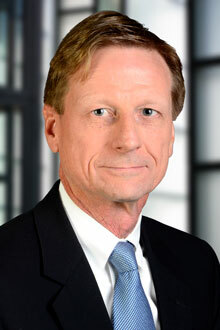 Jim has extensive experience in handling high-exposure class action litigation. Many of these resulted from allegations of product defect, consumer fraud, and dam failures.